Who doesn’t love weeds? They’re so colourful and friendly, allowing your beautiful flowers to thrive…not! Weeds must be stopped, but you need to identify them accurately in order to choose the right weed killer. You can identify garden weeds by taking into account their structure, appearance, type and leaf size. We’ve also included a few tricks to get rid of them, so read along. It’s important to distinguish between various weed types both because it helps identify these weeds, as well as understand how to control them. Grassy weeds are a common type of weed, also known as monocots. This means that a grass seed will sprout as one leaf. 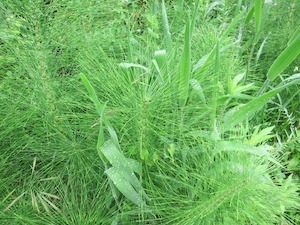 They have round and hollow stems, with nodes, while the leaves are long, with parallel veins. Depending on their life cycle, grassy weeds can either be annual or perennial. It’s important to know this in order to choose a successful control procedure. 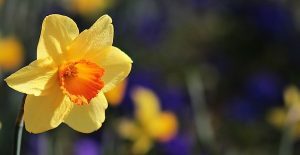 Annual grassy weeds live their lives for just one season, which starts in the spring when the soil temperature gets to about 18ᵒC. They have an accelerated growth all through the summer when they finally produce flowers and seeds, which begin another cycle in the spring. The main enemy of grassy weeds is autumn’s first frost. However, each of these noxious weeds produces thousands of seeds, so they’re very likely to sprout stronger in springtime. Perennial weeds live for over two years and don’t reproduce from seeds, but from their stems, which can be either underground or above-ground. However, some perennial weeds produce seeds too, which increases their chances of survival. Unlike grassy weeds, broadleaf weeds boast leaves that are wider rather than long. These bladelike leaves have a primary vein from which other, smaller veins emerge. As such, you can easily identify them because they look nothing like grass. These are very aggressive weeds that take advantage of any weak areas in lawns. 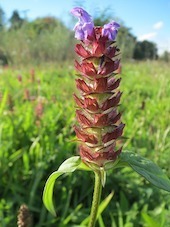 There are both annual and perennial broadleaf weeds, with the same reproduction characteristics as in the case of grassy weeds. Broadleaf weeds have fibrous roots of different types: either a root system, one big taproot, or both of these. Their stems can be round or square. Broadleaf weeds grow in different ways, either upright or spreading very close to the ground. Woody weeds are the strongest sort of weeds, as well as the tallest. That makes them the most difficult to control, especially when they spread on lawns and pastures. They have differently-shaped stems and leaves, with a variety of colours for the flowers, and most of them are perennial. Some weeds that grow in vines are annual, though. Woody weeds are so persistent thanks to their roots. 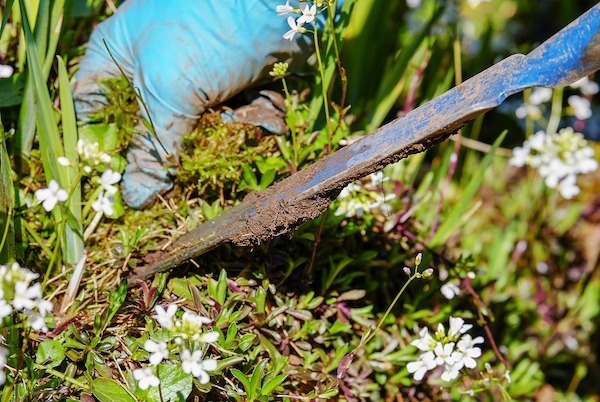 With a deep creeping root system that allows them to re-emerge even from the tiniest left-over fragment, woody weeds aren’t stopped if you dig them up. There is another way to classify weeds, depending on all these categories above. This will help you further identify the weeds in your garden and start making a plan to control them. Broadleaf winter weeds with seeds that germinate in late summer and early autumn. They weed during the winter and keep growing during spring. Broadleaf summer weeds have seeds that sprout when the soil becomes warmer. Grassy winter weeds have seeds that germinate in late summer to early autumn. 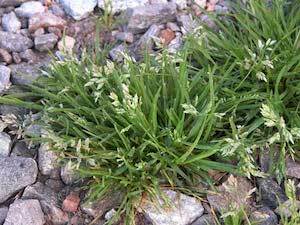 Grassy summer weeds have seeds that start germinating in spring and summer. Broadleaf weeds, which are resistant and not that difficult to get rid of. 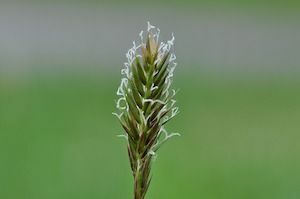 Grassy weeds or sedges that are really hard to eliminate from your lawn, usually requiring complete lawn renovation. This spear grass grows in clumps of narrow-bladed leaves that grow close to the ground on pathways or lawns. 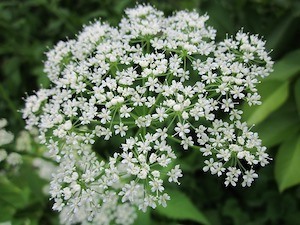 It’s an annual weed that reproduces via seeds, which emerge from its small, white flowers. 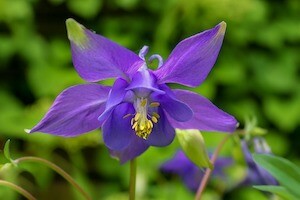 A self-seeding weed, Aquilegia can get up to 15 cm tall. 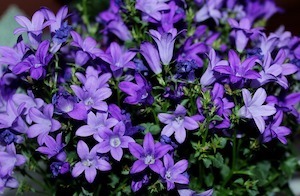 It has purple flowers, strong roots that will make it hard for you to pool it out and blooms quite early. 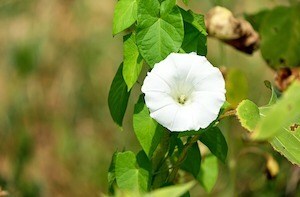 A perennial vine, Bindweed grows in large vines, with roots that spread up to 10 metres. It’s commonly found in Europe as well as North America, and can easily be distinguished through its heart-shaped leaves and white or light pink flowers, which get to about 2.5 cm wide. You can control it through digging or using glyphosate herbicides. A perennial weed with yellow flowers similar to those of Honeysuckle, this weed is part of the Clover family. It one of the tallest weeds in the bunch, considering it can grow to knee-height easily. It can spread in gardens and lawns alike and on most soil types, though it prefers acidic and dry soils. 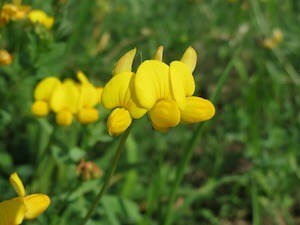 The Birds-foot trefoil grows in huge patches and has a deep root system. It spreads via underground stems like rhizomes or above-the-ground stems like stolons. 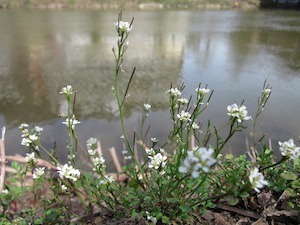 Another annual weed, the Bittercress has small, round leaves that grow in a rosette. 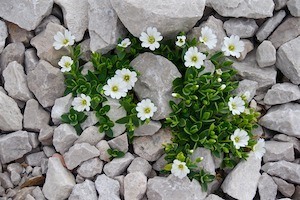 The flowers are small and white, growing 10 cm above the ground. It spreads via explosive seeds. This perennial weed can get up to 2 metres and it looks fairly good. 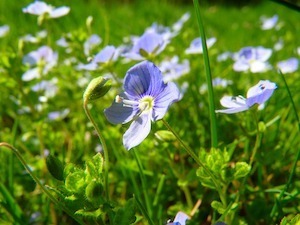 It has blue flowers, shaped like tiny bells that usually bloom in late spring or early summer. With evergreen basal leaves, this weed needs full sun or a partial shade to thrive. 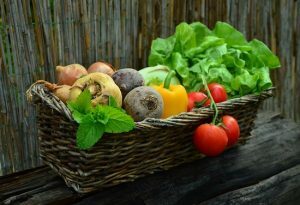 The best soils for it are moist but drained with an alkaline or neutral pHs, such as Chalk, Clay, Loam or Sandy. 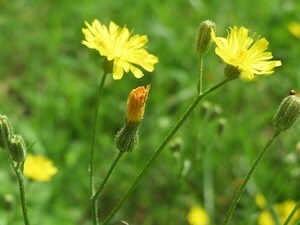 A sturdy weed with serious taproots, Cats Ear is a perennial weed with leaves that can grow up to 20 cm. Basically, it looks like a Dandelion, but without the flowers and usually grows on dry soils. An annual plant that’s very hardy and thrives in the cool season, Chickweed is a small, widespread weed. 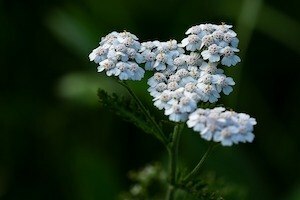 It thrives on moist soil and it has fine hairs that grow on one of its sides. However, this weed can be easily killed if you pull it with a table fork. You can also mulch over free areas on your lawn to stop it from spreading. Also known as Sticky willie or goosegrass, this weed is an annual plant with thin leaves and tiny white flowers. It reproduces via seeds, which are green and hairy. 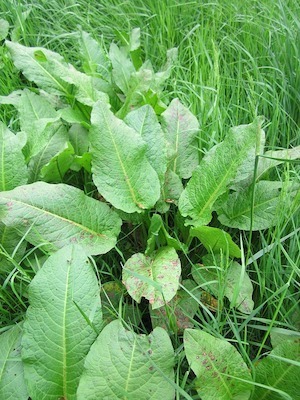 This weed can easily be recognised because it features blades of grass that grow in clumps. A perennial weed, it has narrow and wiry roots that are usually banded. It can be controlled by cultural or chemical means. This deciduous shrub is commonly seen in southern Europe, but it can also grow in the UK. It can get as tall as 4.5 metres, boasting purple flowers. 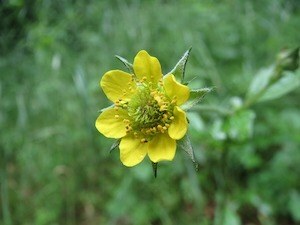 A tall weed with yellow flowers and six to nine petals, the Creeping Buttercup can get as tall as 50 cm. 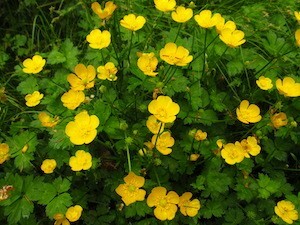 A low-growing weed, the Creeping Buttercup blooms from around April to late August or early September. 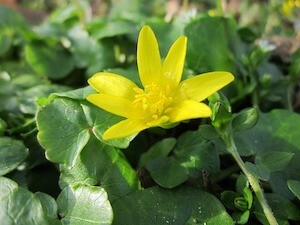 Moist soils are the best environment for the Creeping Buttercup that has a creeping stem which lengthens periodically. It also boasts fibrous roots, which make it so difficult to get rid of it. Another common weed in the UK, the Creeping Cinquefoil spreads on lawns and turfs alike, especially those that are poorly maintained. This isn’t a tall weed, it can only get to 2 cm in height. Its yellow flowers are visible from early summer to mid-autumn, and its leaves are made from five segments with jagged edges. 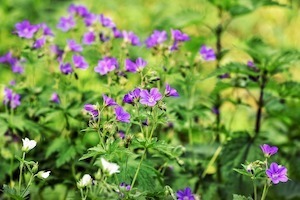 This perennial weed features light purple flowers that bloom in the summer. It has spiny leaves that emerge from rosettes and deep roots. It spreads via seeds. A well-known perennial weed, dandelions are quite resistant thanks to their sturdy taproots. They can get as tall as 50 cm and they thrive in temperate weather. With basal leaves that form a rosette on the ground, dandelions have yellow flowers that open during the day and that turn into white fluff when they produce seeds. That’s why it’s a good idea to cut them before they produce seeds to prevent them from growing again. 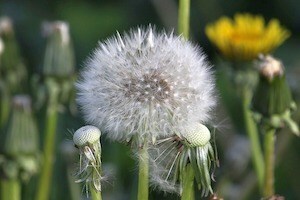 Dandelions also respond quite well to organic, oil-based herbicides. A very common English garden perennial and turf weed, Daisies reproduce and spread by stolons. 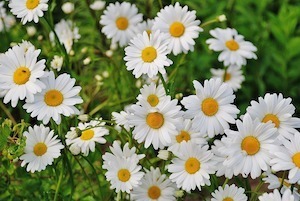 With its round leaves and white flowers, Daisies spread close to the ground, even if the lawns are well-mowed. The blooming season starts in March and lasts all throughout September. This perennial weed has forked taproots that grow quite deep underground. You can recognize it thanks to its broad leaves and bluish flowers that bloom during summer. It also produces a lot of seeds, which is why it’s difficult to eradicate. This annual plant can get to a size of about 30 cm. 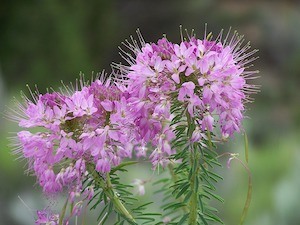 It boasts pink flowers that emerge in late spring or early summer and thrives on dry soil as well as in dry weather. With pink buds from which tiny, white flowers emerge, this grassy weed can grow up to 60 cm. 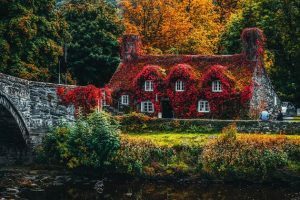 It spreads via its roots, which are brittle and white. 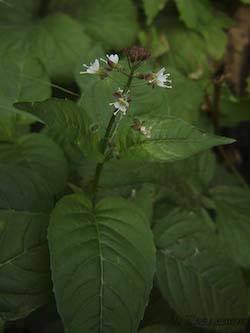 The Enchanter’s nightshade is a perennial plant. A perennial turf weed, this one can grow up to 12 cm tall. It can even survive in inclement weather, but it really thrives in moist environments. You can see its blue, kidney-shaped flowers mostly in early summer. 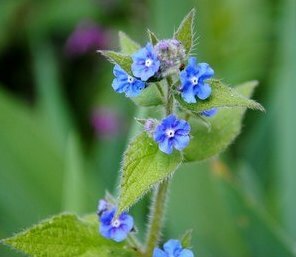 This perennial boasts some hairy leaves and blue flowers that bloom in clusters in early summer. It can get up to 80 cm in height and his tap roots make it quite resistant. Also known as Bishop’s weed or Goutweed, this is a perennial weed. 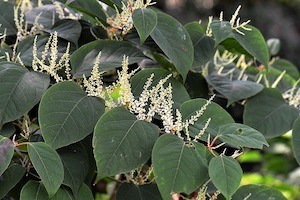 It has lacy flowers that bloom in summer, 45-cm stems and spring-emerging leaves. With round leaf tips that form a rosette above the ground, this weed features yellow flowers that resemble those of a buttercup. It can grow up to 60 cm and reproduces by making seeds or via root fragments. Also known as Red Robin, this annual weed gets to a height of 30 cm. It spreads with seeds and has a strong, mouldy smell. 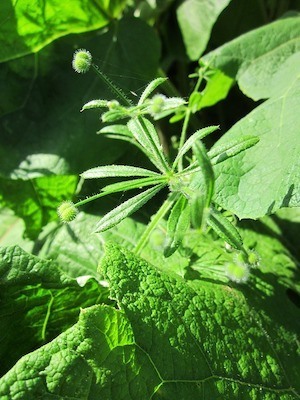 You can identify it by its lacy leaves that form a rosette, its pink flowers and reddish stems. This perennial weed resembles a miniature fir tree and can grow up to 60 cm tall. It has deep roots, and it reproduces via root fragments or spores that emerge in springtime. It’s also known as Marsetail. This is a tall perennial weed that resembles a bamboo. Its flowers are whitish and tasselled, while its fleshy stems have pink shades. It’s strong thanks to its invasive roots that help it spread. Also known as pilewort, this perennial weed has glossy leaves that appear in spring. 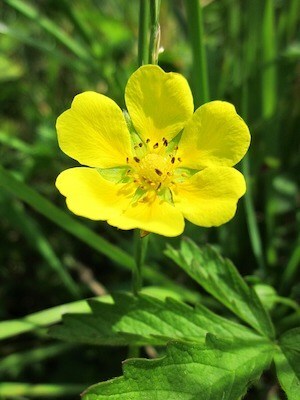 Its yellow, star-shaped flowers grow as high as 5 cm above the ground. It can spread via bulbs or seeds. Another commonly found annual vine, Morning Glory is a weed with heart-shaped leaves and purple flowers. It grows in different sizes, from small to medium and it can be found throughout the world, in different weather and environment conditions. 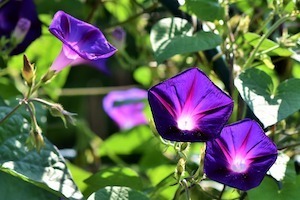 Morning Glory has flowers that bloom soon after sunrise. You can pull them out when they’re young or use an organic, oil-based herbicide when mature. This perennial weed can grow up to 20 cm in height, and its hairy dark-green leaves look like true mouse ears. 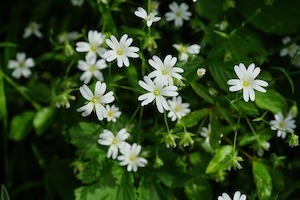 It has small, white flowers that can bloom anytime between spring and autumn. These weeds are experts in skipping mowing sessions, so you need controlled and selective herbicides to get rid of them. 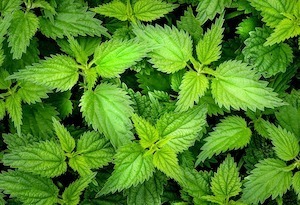 There are two types of nettles, but both of them can be identified thanks to their green flowers and jagged leave edges. They have irritating hairs and can spread via creeping roots, as well as seeds. 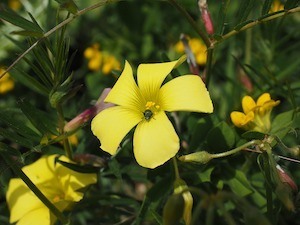 Also known as wood sorrel or shamrock, oxalis has some clover-like leaves and yellow flowers. 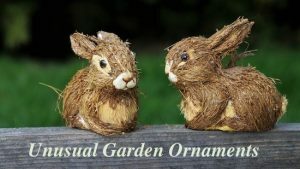 It’s a perennial weed, with fleshy roots that spreads via bulbs, rooting stems or seeds. This weed has long, thin leaves, which is why it’s also called Narrow Leaf Plantain. It grows all year long and gets to medium height. You can find it in both moist and dry environments, in most types of weather and reemerges fast after you removed it. However, it’s easy to remove this weed, albeit not comprehensively. That’s why you need selected herbicides or repeated hand weeding. 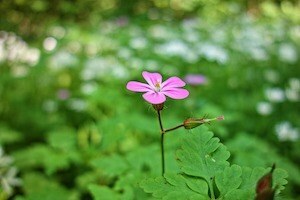 Otherwise, it will quickly spread in big patches that will make your garden lose its good looks. Also known as Fireweed, this invasive perennial looks pretty good for a weed. You can recognise it thanks to its ornamental spires from which purple flowers bloom in mid-summer. It can spread via stolons on the ground surface, as well as from seeds that grow in long pods. 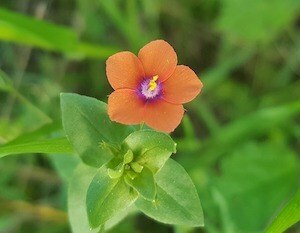 Scarlet Pimpernel isn’t just the chivalrous hero of a famous novel, but a common lawn weed with an annual growth pattern. 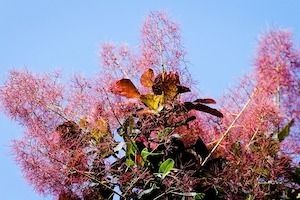 Its life cycle starts at the beginning of summer and ends in autumn, boasting small branches that spread out quickly. With square stems and vibrantly-red flowers, this weed is frequently mistaken for the Common Chickweed. 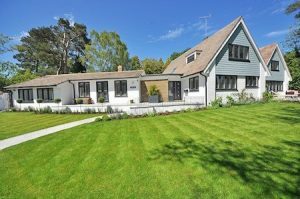 However, if you keep your lawn groomed well, you can deter it from spreading. This perennial weed boasts a wide network of rhizomes, also known as creeping runners. It can get up to 30 cm, and it infests most English lawns. It’s a weed with purple flowers that bloom from early summer to mid-autumn. You can find it in closely mown lawns. This perennial grass can grow quite tall, up to 1 meter in length. Its leaves look much like those of a fern, and this weed can survive in pretty tough conditions. 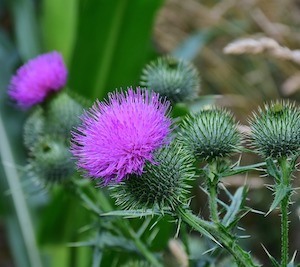 There are a lot of invasive weeds, but hopefully, this article will help you identify the ones that grow in your garden or lawn. What weeds have you seen in your garden so far?